Home » culture » education » spotlight » world » Sororities and Fraternities thrive in the U.S., should they expand to Africa? Sororities and Fraternities thrive in the U.S., should they expand to Africa? Sunday dinner is a weekly ritual for my family. And so it was that last weekend, I found myself dutifully preparing for the evening's sit-down. My daughter Alonna was home with her Friend Alise from Ohio. They are both third year students at Howard University, a prestigious University with a healthy Federal endowment. Since its founding in 1867, the University has produced generations of leaders of African descent who are making an impact on our society in the U.S. and also the world. My wife Shawn is a member of the Alpha Kappa Alpha Sorority Her mother was also a member of the same sorority. Her name was Vera Brown Keith. Her Aunt, Constance Brown is also a member of the sorority. This year a number of fraternities and sororities celebrated 100 years of existence in the United States. Delta Sigma Theta and Phi Beta Sigma were a few of these. Are there similar organizations on the African continent? Many of the members joined these organizations as a means of coping with the racism that was prevalent on college campuses at the time. Presently, they are a force for good in many instances in our society. The organizations are based on Greek lettered organizations that were formed by European students. We were not allowed to join churches or their sororities. The African Methodist Episcopal Church was formed because we were not allowed to worship with the non-white faithful. In the instances of college sororities and fraternities, it was the same exclusion that led us to form out own groups. I am not part od a greek organization. My organization, Ubiquity, is based on the Nguzo Saba. We utilize these principles to help strengthen our community through service projects. I read recently that the Alpha Kappa Alphas established a chapter in Africa. I am quite sure that there are graduates of historically black colleges and universities making an impact in the Motherland. Are there similar organizations at Universities in Africa? I would like one of my fellow Bloggers to post a reply to inform me as to an equivalent organization. One of my best friends. Keith A. Smith is a member of Kappa Alpha Psi. Another of my friends, Howard Hamilton, is a member of Omega Psi Phi. These organizations exert major influence in our society and generate some envy from those individuals that cannot gain access. In addition to the need to come together in solidarity, the present day organizations continue a legacy of success for present day college students. We might not have the large fraternity or sorority houses evident on campuses like the University of Alabama or Mississippi. The members of these illustrious organizations can point to Doctors, Lawyers and University Presidents who have all pledged to become something larger than themselves. I think we have passed what was a dangerous hazing phase in which potential members could be paddled or asked to do ridiculous things. I used to enjoy the step shows and the annual Greek Picnic in Philadelphia. I understand more the impact of these organizations on a world scale. 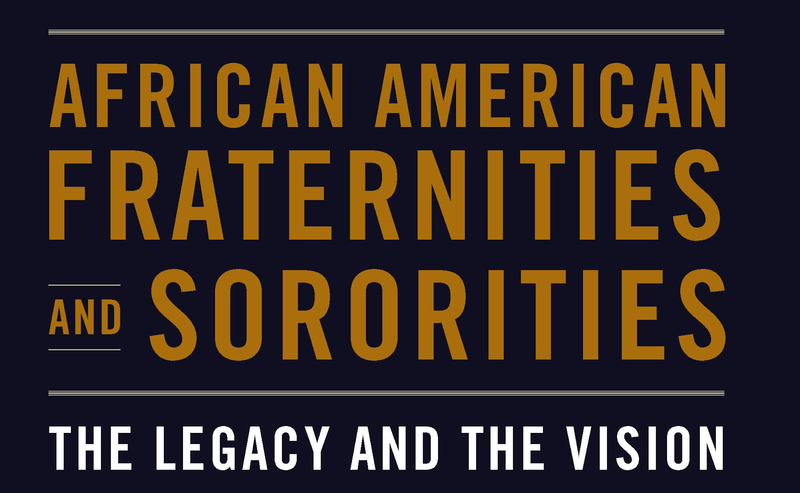 As I stated earlier, many of these organizations were formed because we were not able to join the fraternities or sororities of our non-white counterparts. In Africa, without the restrictions of racism, was there a need for similar organizations at the University level. Those of us that are fortunate enough to have achieved college degrees should think about the plight of our fellow man throughout the Diaspora. Achievement is the goal and the prodding of fellow scholars has led these organizations, and their members, to major heights. I would be remiss if I didn't mention my State Representative, Jordan Harris, who is a member of the Phi Beta Sigma Fraternity. He is a young African American who is making major moves in Pennsylvania. These organizations have helped to allay the effects of racism and propel us to success in the U.S.